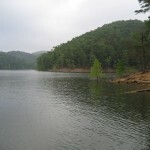 Check out our list of Oklahoma Smallmouth Bass fishing spots below. If you have any pictures of Oklahoma Smallmouth Bass and would like to post them, you can upload them in our members area here: Fishing Pictures. We would love to see them!